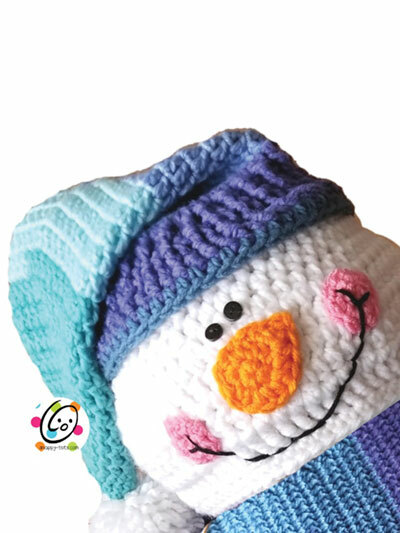 Everyone loves a snowman, and this whimsical design is sure to please! 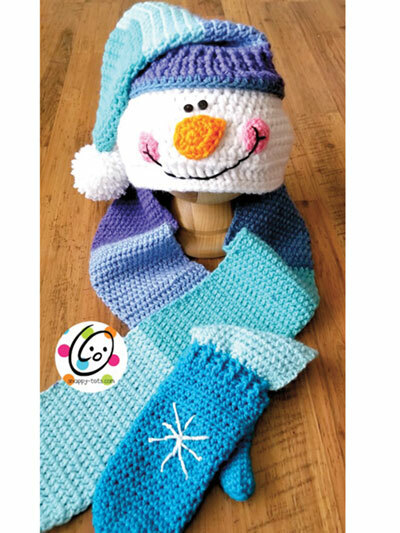 Made using worsted- and bulky-weight yarn, this hooded scarf and mittens are easy to stitch. The scarf, hood and mittens are made separately, and then the hood and mittens are sewn to the scarf. One size to fit older children to adult.